More than ever, you rely on a quality vehicle to help you get to various destinations throughout the days and weeks of your life. Your busy schedule demands that you travel to many places, so you can’t afford to be without a vehicle. If you’re in the market for an upgrade near Jefferson, LA, but you can’t pay cash, you’ll want to look at financing a Nissan vehicle. This isn’t an automatic process; you need to qualify first. Never assume you can get into the car you’ve set your mind to. Financing a Nissan vehicle isn’t always simple for all customers. Before you spend time looking at certain models in a particular price range, review your budget. Go over it with a fine-toothed comb so you know for sure how much you can safely afford. Don’t cut things too close either. Assess your income and expenses. Then, decide on an appropriate price, but leave ample room for surprises. It’s not easy eliminating debt, even though financial experts counsel you to do so. Some debt is difficult to avoid, but things such as credit cards and installment loans can hurt your chances to qualify for the vehicle you want near Jefferson, LA. Start today by chipping away at your balances so you can free up monthly cash for your car payment. The dealer will feel much more comfortable approving your loan if he or she sees that you have few monthly obligations. Exercising your body is important for physical and emotional health. Similarly, your financial health and buying power depends largely on your credit score. Financing a Nissan vehicle is much easier if your score is in the 700-range or above. Work with a credit counselor to repair any glaring problems. It’s best to find out where your score is before you go to the dealership. Put your current car to good use by offering it as a trade-in at the dealership near Jefferson, LA. Even if you only get a couple of thousand dollars out of your car, it can help bolster your down payment and might be just enough to qualify you for a loan. Many customers near Jefferson, LA, ask about financing a Nissan vehicle. It’s a whole lot easier and more likely when you implement these guidelines. 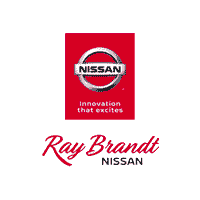 Ask the finance and sales teams at Ray Brandt Nissan what you need to do to get into the car you want.